Surrounded by dramatic vineyard landscapes, our hotel is a haven of hospitality. Guests enjoy modern lifestyle amenities for the business and leisure with our signature Smart Start hot Breakfast Buffet, a 24-hour fitness center, well-appointed business center, meeting and event space, complimentary high speed internet, an indoor heated pool, whirlpool spa, complimentary on site parking, guest BBQ and an on-site market. 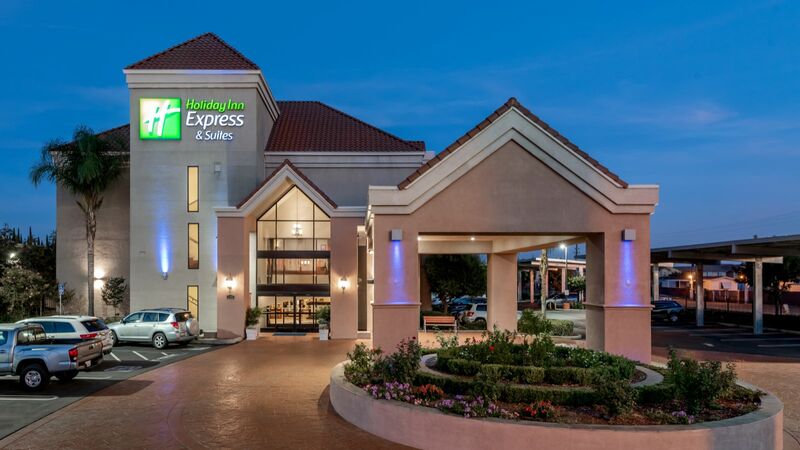 Nestled in the heart of California's Central Valley, Holiday Inn Express Hotel & Suites Lathrop CA is located between historic Sacramento, the charisma of San Francisco, and the bustling communities of San Mateo, San Jose, Modesto and Tracy. 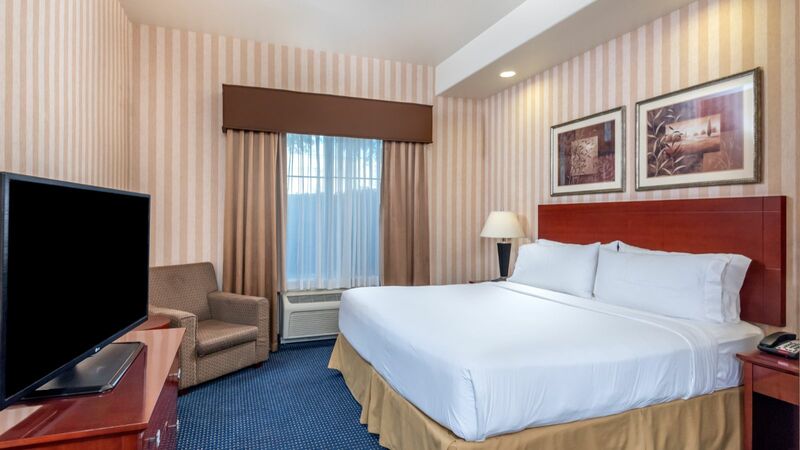 You are invited to experience the ambiance of Lathrop, CA hospitality at this Central San Joaquin Valley hotel. 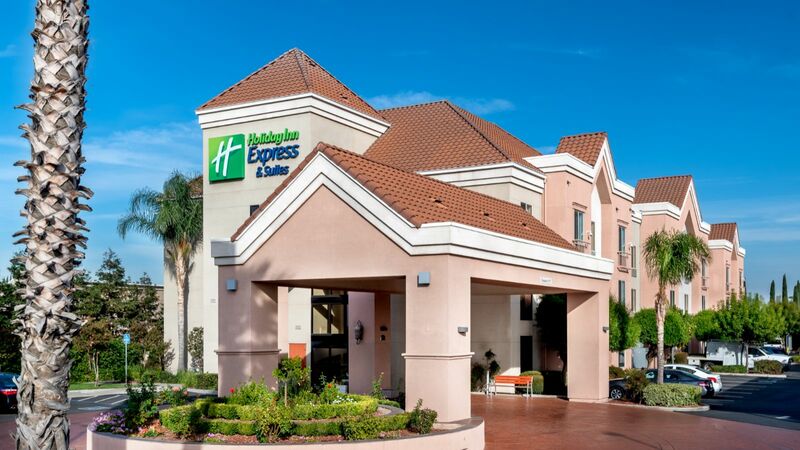 Amenities at the Holiday Inn Express & Suites Lathrop, CA offers the height of contemporary comfort and ambiance which include daily breakfast, a refreshing indoor swimming pool and whirlpool spa, a well-appointed fitness center, stylish meeting space, complimentary high-speed Internet access throughout the hotel, plus seasonal wine tastings that reflect our unique setting within the Central Valley wine region. Replicas of famous baseball stadiums are the main attraction at Big League Dreams Park, just minutes from our hotel's location in Lathrop, California. Guests can cheer on exciting teams ranging in age from kids and youth to senior citizens. Don't leave without making the short drive to Bass Pro Shop Outlets. 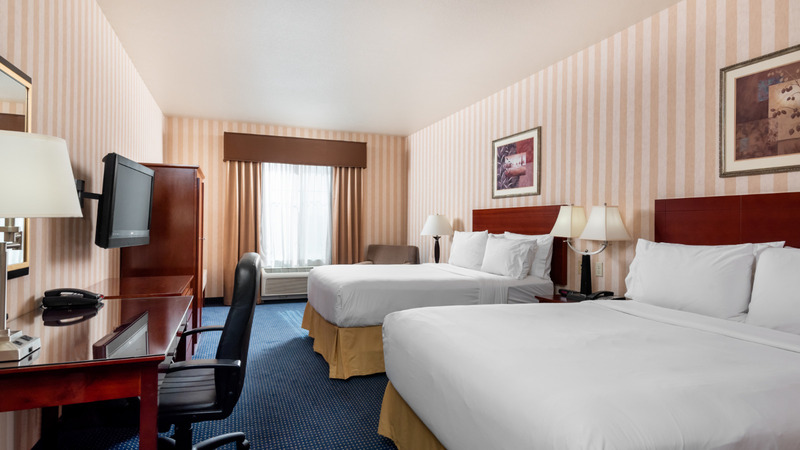 Located just five minutes away, this haven for active people is always bustling with opportunities to find great sales on fishing gear, hunting equipment and outdoor apparel. 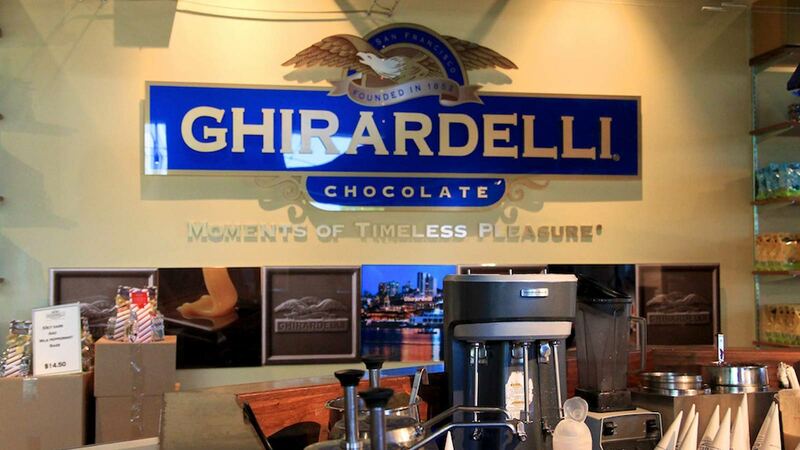 Also for guest with a sweet tooth, we are a two miles away from the Ghirardelli Chocolate Outlet and Ice Cream Shop. Immerse yourself in new sensory experiences while exploring the Central Valley wineries. Book the perfect romantic adventure, spend time on the nature reserves, or pass the afternoon sipping wine with a winemaker and see why the Central Valley is quickly becoming one of the hottest wine country destinations in California. Across Lodi, Sacramento and San Joaquin Valley, farmers tend everything from almonds and apricots to tomatoes, cotton, asparagus and alfalfa. You might say this area and its farmers are California's unsung heroes; our meals—and our wine—wouldn't be the same without them!